Ambergris Caye, Belize, March 29, 2017	(Newswire.com) - Most of us are not aware that there are endless possibilities that can be incorporated to multiply our existing fortune. With a vast pool of business opportunities available in the industry, it is possible for every aspiring businessman to further expand their bank accounts. Investing in a real estate property that will eventually blossom into a profitable business platform may be one thing, and a turn-key business is another thing that is one of the most effective ways of ballooning your investment. However, problems start to arise when choosing the perfect place for a turn-key business. Consequently, the possible fortune also attributes to dangerous risks. And choosing the best turn-key option and location might be the most critical phase for businessmen. Fortunately, Coldwell Banker Ambergris Caye offers plenty of opportunities for someone who’s looking for a major turn-key business. Within the ideal location nearing the Town Center of San Pedro, buying an apartment complex within the stunning tourist destination of Ambergris Caye will be a perfect investment. Belize is a worldwide tourist attraction, and investing in such will definitely assure a profitable response due to high demands of temporary residential places in the astonishing town. Ever looking for a small business that ensures a financially rewarding result? Then a well-known frozen custard shop in the heart of San Pedro Town is the answer. Located at the busy streets of San Pedro, the small business venture has gained popularity from locals as it is one of the most celebrated frozen custard brands in the locality of San Pedro. A well established private business which operated for nearly 2 decades is waiting to be passed on. A family business that became one of the most recognized in Belize, Grumpy and Happy is a premiere snorkeling company that marked its name to the snorkeling community of Belize. Coastal Express, the well-anticipated public water taxi business on the most popular tourist destination in Belize in now on sale. With complete equipment and staffing, ideal location and guaranteed high-traffic area together with a reputable name, it is the perfect investment for someone who looks for a unique turn-key transportation business. Ever dreamed about owning a bar and restaurant on a beach? Then this deal is perfect for you. Considered as one of the top restaurants in Ambergris Caye, the well-known bar in the locality of San Pedro became one of the top ten restaurants in Ambergris Caye according to a study by TripAdvisor. 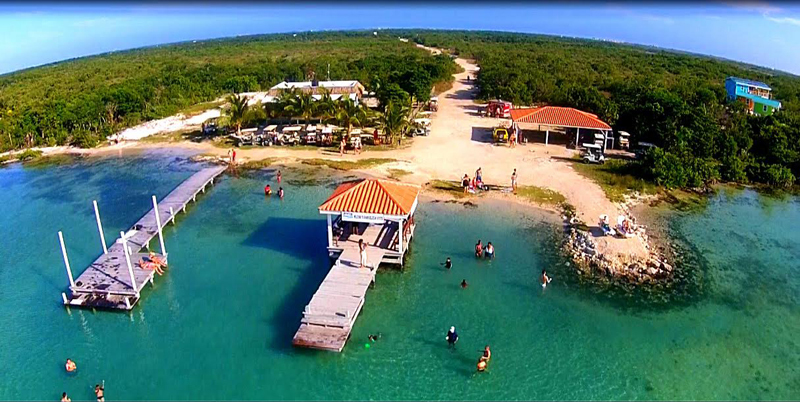 We all know that Belize is one of the prestigious tourist destinations in the world. With the Caribbean beachfront captured by the stunning seashore of the country, the property will be the best place for tourists’ vacations in the tropics. With Belize being recognized as the fastest growing tourist destination in the Caribbean, owning a resort in the massive area is the first thing every businessman wants. If you are on the verge of choosing the best turn-key business, then Coldwell Banker, which has the ideal location, inexpensive investments, unending opportunities and guaranteed success, is the perfect place of investment for you. With Coldwell Banker, you may be the next businessmen to achieve a real turn-key status. For people who still find ways to expand their fortune, they are the ones who rule the world. They are the people who exposed themselves in achieving an unparalleled success in life. Most of them embraced turn-key commercial options and leaped into a solid state of business opportunity which propelled into a gradually increasing productivity. So if you want to assure the best lifestyle for you, your family, and even your next generation, then investing in these turn-key opportunities at Coldwell Banker will be the most efficient way of generating your fortune for the present, and in the future.